Liver injury poses to be a prevalent and persistent problem at a global scale and liver transplantation using umbilical cord blood–borne human mesenchymal stem cells (hMSCs) being the frequent respite to overcome it. Although there has been a plethora of advancements in liver transplantation studies, failures of a successful transplant remain difficult to evade, majorly due to lack of hMSC survivability at the injured site. Hence, in this study, the effect of delta opioid receptor (DOR)–activated hMSCs, reported to have shown a pronounced increase in hMSC survivability in vitro under different stress conditions, have been illustrated on an acute liver injury model of mice. Acetaminophen, a commonly used paracetamol for induction of liver injury was administered intraperitoneally at a dosage of 500 mg/kg to the treatment groups of mice. The control groups included without treatment phosphate buffer saline (PBS) injected. For the transplantation of hMSCs, tail vein injection route of administration was followed at a dose of 5 × 105 cells/ animal. After 48 h, the liver tissues and blood samples were collected for determination of the ALT-AST activity and the alterations in the levels of inflammatory cytokines. Alongside, liver tissues were fixed using 10% formalin and observed for portal and lobular inflammation. The transplantation of hMSCs prevented the increase in the levels of serum alanine transaminase and aspartate transaminase, respectively, in comparison with the acetaminophen-treated groups. There was an additional repression observed in their levels upon transplantation with DOR-activated hMSCs. Analysis of the inflammatory cytokines post-induction and transplantation of hMSCs and DOR-activated hMSCs revealed a prominent mitigation of the pro-inflammatory cytokines IL-1, IL-6, and TNF-α by over ~ 4-folds and a significant upregulation of anti-inflammatory cytokine IL-10 by about ~ 4-folds when compared to the acetaminophen-treated. Histological evidences of the liver tissue samples also followed a similar trend wherein maximum necrotic tissues were observed in the groups treated with acetaminophen. 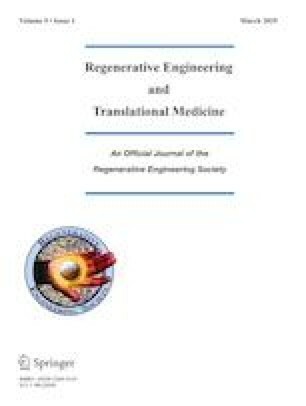 The groups transplanted with hMSCs showed potential recuperation from necrosis and inflammation, which were further curbed down in groups transplanted with DOR-activated hMSCs. This study corroborates the potential benefits of transplanting DOR-activated hMSCs in a liver injury mice model and implies that recuperation of the mice groups with DOR-administered hMSCs was majorly due to the amelioration in the inflammatory cytokines, along with subdued levels of ALT-AST enzymes. Therefore, DOR activation on hMSCs could prove to be a successful prospective therapeutic for a repertoire of such liver failure models. The authors are grateful to Ms. Moghal Erfath Thanjeem Begum and Ms. Pearlin Hameed for their liberal support in handling and treatment procedures of the mice. MM has carried out experiments, analyzed data, and wrote the paper. SB has carried out experiments. DS conceptualized, wrote the paper, and analyzed the data. This study was funded by “SEED” grant from VIT, Vellore awarded to DS. All animal experiments were reviewed and approved by the Institutional animal ethics committee of VIT, Vellore, India. All the authors have read the manuscript and agreed to the publication.